The battery pack is special optimized for PV application. That means more service life and more reliability in solar energy store. This has prompted higher requirements for the temperature range are gradually or have been started seeking and studying the new battery solution. Based on its own technical features as high capacity, high voltage and free of pollution, the lithium ion battery is widely concerned by people with a rapid development stance. It will be the first choice for the high requirement energy store battery solution. EverExceed solar LiFePO4 battery system is mainly used for the energy store battery of Photovoltaic system; its advance intelligent lithium battery management technology to ensure the intelligent automatic management. 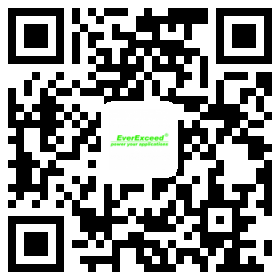 With "Energy transfer" balanced patented technology, EverExceed Fe lithium provide high efficiency balanced and prolong system operate life. High cycle life and deep cycle: For infrastructure powered from high cycle lifeand deep cycle cost primary energy sources (e.g. diesel generators powered in off-grid or unreliable grid locations and anywhere energy storage systems are used to reduce CO2emissions). Lightweight, high energy density standby power: The EP-48xx series batteries, due to their ex-cellent properties, are the optimal energy storage solution where limited space and or weight are im-portant factors. Excellent expansion capability: Configuration flexibility, support parallel connection expansion.